Evidence-based practice (EBP) is a process in which the best research evidence is combined with a client’s values, circumstances, and environmental context and with clinical expertise to inform case decision making. The concept has evolved over the past few decades as researchers and practitioners have combined their ideas to form innovative new approaches to social work, and as social workers and agencies seek to integrate the findings of published research with their own experiences in the field. The University of Chicago School of Social Service Administration (SSA) has been a leading innovator in the development of EBP as its past and present faculty have sought to combine their findings with the experiences of the practitioners they train. The new volume, From Task-Centered Social Work to Evidence-Based and Integrative Practice, is a collection of papers written by leading social work scholars and practitioners in evidence-based practice. Nearly all of these papers were presented at a symposium in 2009 in honor of SSA’s Centennial. The inspiration for the symposium, “From the Task-Centered Approach to Evidence-Based and Integrative Practice,” and this book was the pioneering work of William Reid and Laura Epstein. These two SSA researchers laid the groundwork for evidence-based practice as social workers know it today. Reid and Epstein (SB’43 College, AM’36) also served as colleagues, professors, or mentors to several current SSA scholars, including the editors of this volume and most of the authors of the chapters. Many of the contributors are leaders in research and practice settings who have built on the work of their predecessors to synthesize new approaches to social work, and continue to develop methods for sustainability once implemented in real world conditions. The book is divided into two sections. The first describes the history, development, and key ideas of EBP. Beginning with the task-centered model in the late 1960s, contributors outline the various approaches that researchers and practitioners have cultivated. These include the personal practice model, cognitive behavioral therapy, and psychodynamic theory. The second part of the book explores applications of EBP in the implementation of programs and interventions. Highlighting evidence-based practice as a process in which evidence is used as a resource for making decisions about practice, the contributors provide case studies of their experiences implementing EBP in social work settings, and propose solutions to some of the barriers they faced. The editors, Tina L. Rzepnicki, Stanley G. McCracken, and Harold E. Briggs explore the history and development of EBP. They then progress to an analysis of the implications of EBP and how its methods are useful in the development of successful intervention programs. When considered as a whole, From Task-Centered Social Work to Evidence-Based and Integrative Practiceprovides a perspective on EBP that researchers and practitioners alike can use to enhance their implementation of its strategies. The approach outlined in this book emphasizes the need for evidence to come from the field as well as academia, and the need to account for organizational and dissemination constraints early in the implementation process. While firmly rooted in past developments that led to the contemporary EBP approach to social work, this book also looks toward a bright future of innovations that aggregate evidence from a variety of sources. Tina L. Rzepnicki, AM ’78, PhD ’82, is the David and Mary Winton Green Professor and the Deputy Dean for Curriculum at the University of Chicago School of Social Service Administration (SSA). Stanley G. McCracken, AM ’78, PhD ’87, is a Senior Lecturer at SSA. Harold E. Briggs, AM ’80, PhD ’88, is a Professor at the Portland State University School of Social Work. 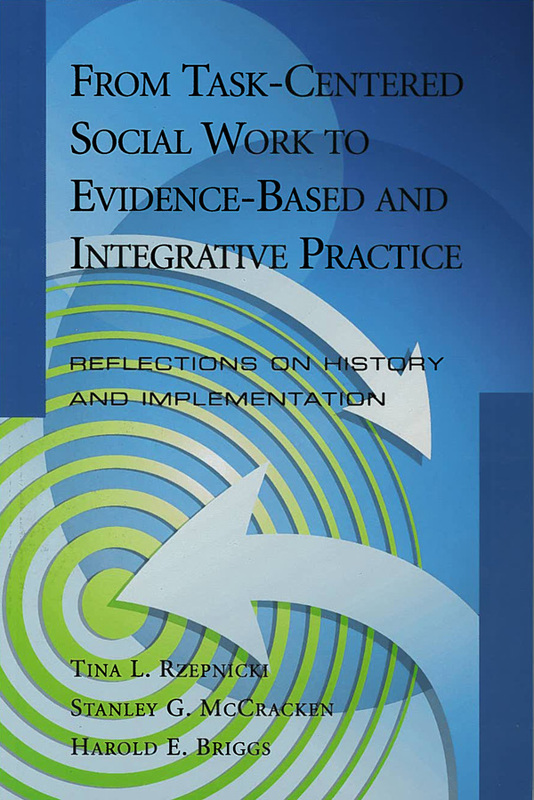 From Task-Centered Social Work to Evidence-Based and Integrative Practice: Reflections on History and Implementation is available through Lyceum Books.